Discover exciting area attractions, explore the island on an eco-adventure, or plan ahead for upcoming annual events. Our Staff Picks blog will help you make the most of your stay on Estero Island. Less than a thirty-minute drive from the property, close to downtown Fort Myers, a fun afternoon awaits at the IMAG History & Science Center. 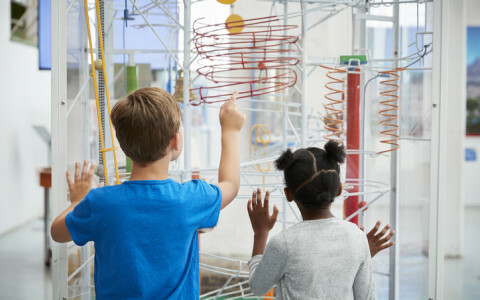 Perfect for the whole family, this center offers a wide range of hands-on activities, learning opportunities, and exciting exhibitions round every corner. From broader topics of earth and space to discoveries close to home including Florida’s history, marine animals, and local plant-life, you and your family can unearth compelling facts and mysteries throughout the science center. For a truly memorable experience, plan your visit around their thrilling live animal encounters, touch tanks, and aquariums. Open Tuesday-Saturday from 10 a.m. to 5 p.m. and Sunday from noon to 5 p.m., the IMAG History & Science Center is your door to a whole world of knowledge right at your fingertips. Now go off and explore! Thanks to the largest shrimp boat fleet in the country calling our town its home base, we’re no stranger to fresh, buttery shrimp cooked to perfection. If there’s anything we know how to cook up in Fort Myers, it’s shrimp. Thanks to the largest shrimp boat fleet in the country calling our town its home base, we’re no stranger to fresh, buttery shrimp cooked to perfection. This month, you can have a taste for yourself March 9-March 10 at the annual Fort Myers Beach Shrimp Fest! The largest two-day event on Estero Island comes back year after year to bigger crowds with even bigger appetites. Starting at 10 a.m. with a parade marching down Estero Boulevard, the festival will continue all afternoon long with live music, local art vendors, and, you guessed it, lots of delicious shrimp to dig into! Round up your friends and family and take advantage of the park and ride on Summerlin Square Drive for easy access via the trolley! Valentine’s Day is right around the corner, and we’ve got your special day covered! Valentine’s Day is right around the corner, and we’ve got your special day covered! You and your loved one can set out in the morning for a refreshing beach walk on the beautiful Fort Myers Beach—look for seashells and soak up the sunshine! During the afternoon, rent bikes and make your way around town to scope out keepsakes and mementos. The main event? Dinner at Cōste Island Cuisine right on our property. The New American coastal restaurant, crafted by Chef Anthony, features farm fresh ingredients, perfectly-cooked seafood, and dreamy waterfront tables. The restaurant often hosts live musical entertainment to really set the mood while you dine on delicious dishes like pan-seared black grouper, red snapper, or sea scallops with butternut squash puree. And to end the evening on a sweet note, save room for the gelato flight or cinnamon bread pudding—you can thank us later! We hope you have an appetite because you’ll want to come hungry—really hungry—to the 17th annual Gumbo Fest on Sunday, January 27! We hope you have an appetite because you’ll want to come hungry—really hungry—to the 17th annual Gumbo Fest on Sunday, January 27! As always, the filling fest will be held at The Shell Factory & Nature Park, where you and your foodie crew can dig into the best gumbo outside of Louisiana. From 11 a.m. to 6 p.m., enjoy energetic live Zydeco music, fun family-friendly activities, and a wide selection of all the gumbo you can dream of. Creole or Cajun, spicy or extra spicy, however, you like your gumbo, you’re bound to find it here—as well as tasting your way through all of the varieties. And in true cookout fashion, you can experience the amazing community spirit that sets Fort Myers Beach apart. Make it a complete day with a visit to the nature park, as well! With full bellies and good spirits, you can see what this beautiful land has to offer. 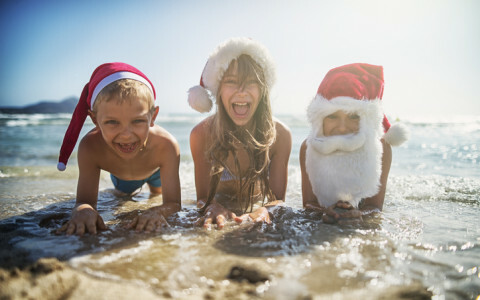 Whether you’re here to beat the weather or to visit family, visiting Fort Myers during the month of December puts a warm touch on an otherwise chilly season. In town, at our property, or around residential neighborhoods, it seems that no matter where you turn, you can experience the colorful light displays. Grab yourself a cup of hot cocoa and check out your favorite holiday lights! You may be away from home, but you can still get a taste of a wonderfully cooked meal! Try our property dining options, or venture out into town for a taste of the holidays with a beachside twist. Running late on Christmas gifts? Look to our many local businesses to find that perfect gift for that perfect someone. Fort Myers Beach may not see any snow, but there’s always a bounty of sand to do the trick. Join the community in one of the year’s most popular events—the 32nd Annual American Sandsculpting Beach Festival! Fort Myers Beach may not see any snow, but there’s always a bounty of sand to do the trick. Join the community in one of the year’s most popular events—the 32nd Annual American Sandsculpting Beach Festival! Head down to Fort Myers Beach to watch professional sand sculptors create masterpieces made entirely of sand. Have a knack for artistry? You can give your own creation a go, too! From November 16-November 25, you’ll have plenty of time to check out the competition and cast your vote for who you think will take home the big win, with loads of music, activities, and food and beverage vendors to refuel. The award ceremonies will take place on November 18 and November 25. In between then, admire the magical creations, check out the demonstrations, and enjoy the fun environment of this Fort Myers tradition. It’s fall, y’all! With October comes Halloween candy, cooler weather, and tons of fall festivities to join in on. Here in Fort Myers, look no further than the Southern Fresh Farm’s annual Fall Festival. All throughout the month of October you can celebrate the start of the fall season with good ol’ southern cooking, a petting zoo, vendors, and more! You and your family will enjoy the hayride through the woods. And to really get into the spirit of the spooky season? Go for a ride on the haunted hayride—if you dare! The festival is a popular event in Fort Myers, and perfect for enjoying the southern charm of the fall season with sweet tea, southern food, and family-friendly activities throughout the entire month. Need any more convincing? Parking and admission are free. See you there! Get ready to hear the next big thing, the 5th Annual Island Hopper Songwriter Fest is making its way back to Fort Myers. September 21-30, take part in a week-long celebration of great music and songwriting from talented up-and-comers. Whether you’re visiting Captiva Island, enjoying the dynamic Downtown Fort Myers, or kicking back at Fort Myers Beach, the Songwriting Fest is coming right to you with events spread out at each location. This popular event is a fun opportunity to check out a lively music scene, explore Fort Myers and Captiva venues and support local and regional artists. Details below, but take it from us: this is one festival to sing about! In between all of the beach fun, great eats, and poolside relaxation, you’re going to want to fit in some retail therapy. Luckily, Fort Myers’ Bell Tower Shops are perfect for setting the scene for your glamorous shopping outing. With whimsical pink buildings—adorned with black-and-white striped canopies—and lush landscaping, the Bell Tower Shops is a vibrant shopping center where you can find all of your clothing must-haves, in addition to some beautiful boutiques you can only find here! Whether you’re stopping by in the afternoon or evening, refuel at one of the many delicious eateries—shopping is hard work, you know. At night, you’ll love the modern lights and contemporary feel of this upscale community gathering place. With so many selections to choose from, why not spend the rest of your vacation in style? The new wardrobe you bring back home will be a warm reminder of your Fort Myers vacation. Looking to catch some live music? The Fort Myers Beach River District is home to a monthly event featuring some of the region’s very best musicians. On the third Friday of the month, the streets of the River District come to life with local and regional artists covering a wide range of genres at the Music Walk. No matter what gets your foot tapping, you’re sure to find it here. Beginning at 6 p.m. and lasting until 10, join in on the fun as you get to know the distinct sights and sounds of Fort Myers’ music community. But this event isn’t only musical entertainment, the district’s other popular venues offer special attractions and features to keep the party going. Whether you can stay for a few hours or just catch a glimpse as you head down the street to eat, the district’s Music Walk will put some rhythm in your step to last the whole night. Maybe it’s just us, but we think Florida’s summer sunsets are simply unbeatable. And on your next trip to our Diamondhead resort, you can celebrate the summer’s most extravagant sky-creations with the rest of the Fort Myers Beach community. Join in on the fun for the Sunset Celebration in Times Square on Fridays and Saturdays. The Square’s public festivities go from 5 – 10 p.m. to not only kick-off the stunning views, but to also cheers to the beginning of the weekend. With live music, street performers, and tons of vendors, the Square captures the exciting atmosphere of visitors and locals celebrating the Fort Myers' beach life. Stroll through the shops and entertainment while you leisurely make your way to the pier for optimum sunset viewing. There’s no better way to wind down the week than with friends, family, and unforgettable view to cheers to. Now that’s how you vacation. Ever wanted to catch the Red Sox, but never made it out to Boston? You can get a taste of the famous baseball team right here in Fort Myers. Stop by JetBlue Park for an exclusive peek into the Red Sox training place. The Fenway South park has been home to the Boston team’s spring training for the past seven years and was constructed as a subtle nod to the Fenway Park home base. Here, you’ll find the “Green Monster” and manual scoreboard, resembling the original park, but also characteristics unique to southwest Florida including seashells and a white roof to resemble cypress trees. With a total capacity of 11,000, six practice fields, and other state-of-the-art facilities, a visit to the park will give you an inside look into baseball beyond the game. In between the exploring, eating, and adventures, it’s important to kick your feet up and enjoy what you really came for: all that sunshine. And with our dreamy beachfront location, there are so many ways to soak up all that Floridian sun. In between the exploring, eating, and adventures, it’s important to kick your feet up and enjoy what you really came for: all that sunshine. And with our dreamy beachfront location, there are so many ways to soak up all that Floridian sun. So we’ve rounded up a few of our favorite spots to catch some rays—but don’t forget your SPF! Beachside: Bring your sandcastle buckets and dig your toes into the warm, white sand. As the sun shines down, you can watch your worries drift away with the ocean breeze. On the Water: There’s nothing like enjoying warm breezes while being surrounded by deep blue waters. Take your sun-soaking out on the waves with kayaking, paddle boarding, and more. Joining us in March? You’ve come at the right time! The weekend of March 10 and 11 will bring the Fort Myers community together with the annual Fort Myers Beach Shrimp Festival. Joining us in March? You’ve come at the right time! The weekend of March 10 and 11 will bring the community together with the annual Fort Myers Beach Shrimp Festival. To welcome the spring weather—did it ever leave?—join the festivities for a cause that raises thousands of dollars for local educational and medical charities. The weekend’s events will include an art fair and food expo featuring artisanal arts and crafts, a kids shrimp run and adults’ 5k, a lively parade, and of course: lots of shrimp. 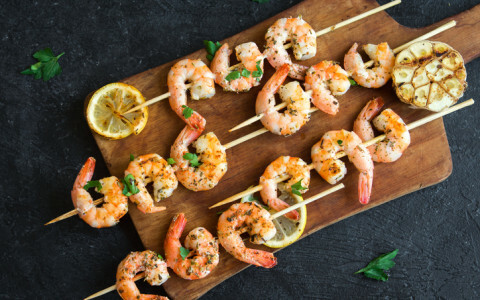 Both locals and visitors alike can get in on the Fort Myers fun with shrimp eating contests and a good ol’ southern shrimp boil from the Fort Myers Beach Lions. 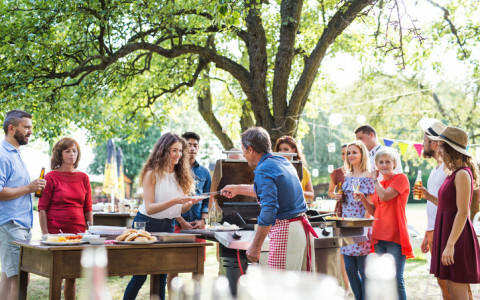 But this festival isn’t just for foodies, with so many vendors and activities, this is one of the best ways to feel a part of the inviting, fun community here at Fort Myers Beach. Just a brief fifteen-minute walk from our property grounds is the sanctuary of Matanzas Pass Preserve. One of the few natural habitats remaining on the island, the preserve is a 60-acre property of diverse wildlife, tidal swamps, and shady mangrove forests. Just a brief fifteen-minute walk from our property grounds is the sanctuary of Matanzas Pass Preserve. One of the few natural habitats remaining on the island, the preserve is a 60-acre property of diverse wildlife, tidal swamps, and shady mangrove forests. In 1974, nature photographer and local resident John Dunning purchased the land and donated 22 acres to Nature Conservancy, and in 1994 the rest of the land was also donated. Avoid the usual tourist hubs and quietly escape onto one of the many trails that wind through forests and lead to a pavilion alongside Estero Bay. On one of these trails, see if you can spot the maritime oak hammock—one of the last still standing in the area. Looking to make this trip a real adventure? There’s a paddlecraft landing beside the pavilion, offering visitors the option to see the preserve from a whole new perspective. Swing by Chloës Lounge, our evening cocktail bar, for nightly happy hour specials, tasty treats, and a fun, spirited atmosphere. Stop in for Margarita Monday, Martini Tuesday, or our personal favorite: Karaoke Wednesday’s! After a long day of exploring, we know that planning for another night out can be just too tiring. Why don’t you take the evening off from planning by sharing a night in with us. Swing by Chloës Lounge, our evening cocktail bar, for nightly happy hour specials, tasty treats, and a fun, spirited atmosphere. Serving up a menu of light appetizers, fresh garden salads, and artisan pizza, there’s a little something for everyone at Chloës. Stop in for Margarita Monday, Martini Tuesday, or our personal favorite: Karaoke Wednesday’s! Show off your singing chops with your go-to tune, or watch us embarrass ourselves singing ours (for better or worse, we commit). Come on by for a drink, a laugh, or both, because Chloës Lounge is guaranteed to reenergize you for another day of adventure. We can’t wait to see you! Sanibel Island, just a short drive away, is the kind of stunning tropical oasis that will give you that extra slice of paradise on an already relaxing vacation. With 15 miles of gorgeous sandy beaches, 230 kinds of birds to spot, and thousands of seashells to sift through, Sanibel is a fun, laid-back day trip worth taking. Sanibel Island, just a short drive away, is the kind of stunning tropical oasis that will give you that extra slice of paradise on an already relaxing vacation. With 15 miles of gorgeous sandy beaches, 230 kinds of birds to spot, and thousands of seashells to sift through, Sanibel is a fun, laid-back day trip worth taking. What makes Sanibel so special is the incredibly unique barrier islands orientated east and west (most islands are situated north and south). This makes for long, winding beaches ideal for uncovering the island’s famous—and award-winning—seashells. And while there aren’t any coral reefs, multiple artificial reefs and ship wrecks provide fun fishing and diving opportunities. Stop in for lunch at a local restaurant or look into a handful of coastal boutiques carrying unique and beach-inspired gifts to bring back home. Long after your trip has passed, you can cherish the delicate seashells and remember a dreamy afternoon enjoyed in paradise.